With Craig Dawson being the only player to have started at both Villa Park and Carrow Road in the last week, the majority of Pulis’s preferred first team should be well rested for the visit of Everton on Monday evening. Meanwhile, Everton’s starting line-up at the Madejski Stadium on Tuesday included Jagielka, Stones, Barkley, Lukaku and Koné who would all be expected to start at the Hawthorns. Of course, the reward for the Toffees was a victory over Reading and progression to the fourth round, while the Baggies fringe failed to impress although the 3-0 scoreline was a little harsh by all reports. Albion can fall back on the old “concentrate on the league” adage for the rest of the year and, after three consecutive clean sheets, hopes of a first home league win of the season are high. 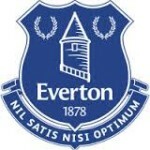 Like Albion, Everton were a founder member of the Football League and the first meeting between the sides was at Anfield, Everton’s first home, in December 1888. The Baggies won 4-1 thanks to a brace from Billy Bassett and goals from Walter Perry and Billy Hendry. The return fixture at Stoney Lane was also won by Albion with Jem Bayliss scoring the only goal. The first meeting at the Hawthorns was in April 1901 and this time, it was the visitors who took the points with Jack Taylor and Walter Abbott scoring for the Toffees in a 2-1 win. Albion’s biggest win over Everton came at the Hawthorns in March 1960 when Derek “The Tank” Kevan scored five of Albion’s six goals in a 6-2 win – David Burnside got Albion’s other goal while Bobby Collins and Jimmy Harris were on the scoresheet for Everton. The Toffees matched that scoreline eight years later to register their biggest ever win at the Hawthorns. Alan Ball was the goalscoring hero on that occasion, scoring four of Everton’s goals, including twofrom the penalty spot, with Joe Royle and Johnny Morrison getting the others. Ian Collard scored both of Albion’s goals. That was in March 1968, and Albion will have been happy to give Everton those two points in return for the victory at Wembley stadium two months later in the biggest ever game between the sides, with Jeff Astle famously scoring the only goal of the FA Cup Final in extra time (pictured). In January 1989, second division Albion were faced Everton in the third round of the FA Cup. The Toffees weren’t quite at the heights of the title-winning team of the mid-eighties, but they were still in the top six in Division One and more than 31,000 packed into the Hawthorns, the last time there were more than 30,000 at the Shrine. Colin Anderson put the home side ahead, but Kevin Sheedy equalised from the penalty spot just before half time. Sheedy broke Baggies hearts in the replay when he scored the only goal of the game with four minutes to go. In November 2005, Everton became the first (visiting) side to concede four goals at the Hawthorns in the Premier League when Nathan Ellington (pictured) scored a rare double for the Baggies added to by Neil Clement and Robert Earnshaw in a 4-0 win that was a rare high point in that desperate season. Five years later, Albion scored four at Everton but their recent record against the Toffees has been less than impressive. The Baggies have won just one of the last nine games against Everton in all competitions, a 2-0 win at the Hawthorns in September 2012 when Shane Long and Gareth McAuley both scored to make it seven points from nine at the start of that season for the Baggies. Monday’s match will be the 162nd between West Bromwich Albion and Everton, the 77th in West Bromwich and the 65th at the Hawthorns. The Baggies have only played Aston Villa on more occasions (166). The only injury news from the Hawthorns is that Ben Foster has suffered a set back in his recovery and is now not expected to be fit until around Christmas. I expect another ten changes from the starting line-up at Carrow Road as none of the team from Wednesday appear to have done much to stake a claim for a starting berth. Everton, on the other hand, have an extensive injury list with John Stones, Séamus Coleman and Bryan Oviedo all doubtful for Monday’s match and Bešić, Cleverley, Baines, Hibbert and Pienaar all out for longer periods. Everton are having an inconsistent season having registered impressive wins at Southampton and at home to Chelsea, but a strong side struggled at Reading on Tuesday and they have failed to score in their last two Premier League away games at Swansea and Tottenham. Having said that, they have only lost once this season, to Manchester City at Goodison Park, and I’m going for another draw on Monday night.